Adult (18 and older) Dosage: Upon first experiencing symptoms, take one softgel capsule every other day for 20 days, and one softgel capsule as needed for occasional relief thereafter. Best if taken one-half hour before or one hour after meals, with water or your favorite beverage. Do not bite or open capsule, swallow whole. Why use an orange peel extract to battle occasional heartburn? Unlike many traditional products, a clinically-studied orange peel extract will not reduce mineral absorption, inhibit protein digestion, or shut down acid production. Contrary to many common solutions, it works with your body's natural digestive processes. 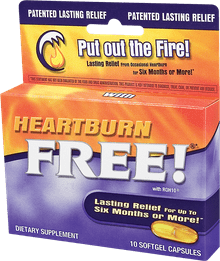 Why use Heartburn Free with ROH10? 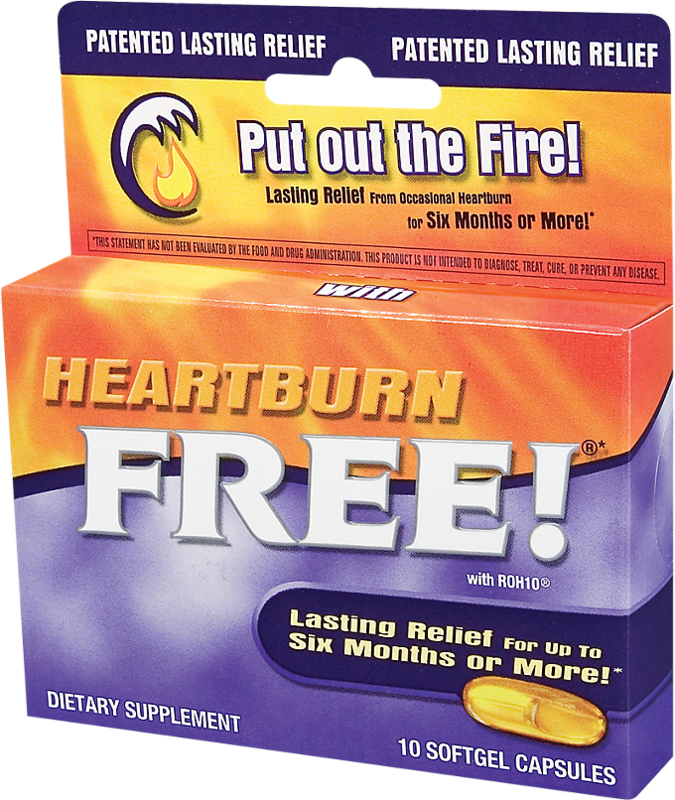 Heartburn Free with ROH10 delivers relief from occasional heartburn, acid indigestion, and upset stomach. With Heartburn Free, every-other-day supplementation brings everyday occasional heartburn relief - your stomach and esophagus will thank you for it. After completing the initial regimen, symptoms of occasional heartburn occur much more infrequently. And, if they do return after the initial 10 capsule regimen, a single capsule of Heartburn Free should provide relief. Its key ingredient, orange peel extract (ROH10), provides lasting relief without shutting down the production of stomach acid. Heartburn Free also doesn't reduce mineral absorption or inhibit protein digestion. Adult (18 and older) Dosage: Upon first experiencing symptoms, take one softgel capsule every other day for 20 days, and one softgel capsule as needed for occasional relief thereafter. Best if taken one-half hour before or one hour after meals, with water or your favorite beverage. Do not bite or open capsule, swallow whole. Do not use if you have, or suspect you have an ulcer; or if pregnant or nursing. If taking prescription drugs, consult your healthcare practitioner prior to use.